Northern Lights Black Spruce Oil essential oil from British Columbia, Canadian Farm improves the appearance of dry skin. Add it to skin care products or apply topically to support and maintain the appearance of healthy-looking skin*. This oil includes the naturally occurring constituents alpha-pinene, camphene, and beta-pinene. 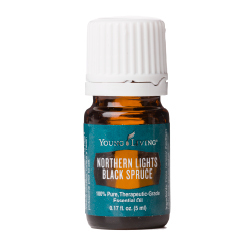 Northern Lights Black Spruce Oil is a special oil that is distilled at Young Living's Northern Lights tree farm in British Columbia, Canada. The trees are bathed in the energy of the aurora borealis which is believed by many cultures to contain spiritual renewal and clarity. The Native Americans used Spruce for medicinal, spiritual and practical reasons. They used it for protection and capturing the universal energy here on earth the earth plane. Spruce Essential Oil was traditionally used to soothe muscle discomfort after exercise or in combination with massage. Blends that contain this oil are Peace & Calming II, Valor II and Light the Fire. As I do receive new information and testimonials for Spruce Oil, they will be added to this page. So check back frequently or subscribe to the Oil Blog so you don’t miss a thing! Please read below for more information on Spruce Oil. It will tell you how to use it and what to use it for. It will also provide you with some suggestions, safety precautions for you and your pet! Want to Purchase Therapeutic Northern Lights Black Spruce Oil? Go to the Oil Shop! Here is the direct link. Why is this information important? There are over 40 species of Spruce some of which are not for medicinal use. Additionally, there are several parts of the tree that can be used as well. Therefore, it is always important to know the genus species and what part of the plant the oil is distilled from. Remember, many companies may use a substitute species or a combination of species. Even though they may share some similar properties they are not at all the same. Too many companies label essential oils generically which means none of us know what they are really putting in the oils they sell to us! Where is the name derived from? The name Spruce comes from an Old French word "Pruce" meaning "Prussia". It is thought that the word Spruce meant commodities that came from hanseatic merchants to England. It is also meant to freshen or tidy up! What Part of the Plant is Used? Branches, needles and twigs. Why know about this number? ORAC stands for Oxygen Radical Absorbance Capacity. It tells you the antioxidant capacity of a food item. 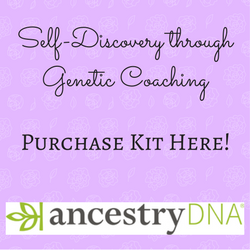 This was developed by the USDA researchers. For instance: Spinach = 1,400; Clove = 1,078,700. Wow! The number for clove is NOT a typo! Did you know that the Lakota Indians used spruce to connect with the Great Spirit during spiritual ceremonies and rituals? What are the Plant Properties? Calming and grounding. What is the Spiritual Influence? In general, spruce essential oil will ground and balance the body and release emotional blocks. The Native Americans used Spruce for its purifying and cleansing effect. It is also said to release blocks to prosperity and wealth. This oil helps us to "reach for the sky" as it supports us to become our potential. It harmonizes the chakras and energy in the body so we can become our best. It's energy is revitalizing and it is a good one to use to energize the mind, body and spirit especially when working on a project or new business venture. What Chakra is Affected? The heart, solar plexus and sacral chakras. What is the Corresponding Chakra Color? Orange, yellow and green. Can this Oil be used for Pets? Yes, wonderful grounding oil. In the Northern Lights Kit 1st Distillation Edition (which is in limited supply), there is an essential oil water that is exceptional soft and accepting for pets. What are the Safety Precautions? Only therapeutic grade essential oils should be used if you want results! Because it is approved as a Food Additive (FA) and Flavoring Agent (FL) by the FDA, Spruce Oil is readily available on the market in many different qualities. Repeated use could result in skin irritation (dilution is recommended). Although it may be used as a dietary supplement, it is advised not to use it in this manner for children under 6 years of age. Did you know that animals will lie down under the spruce tree for protection and rejuvenation? Did you know that black spruce is mainly used for pulp? Lumber is its second use because of the relatively small size of the trees! Add spruce, to a hot bath with epsom salts! Wonderful!